Asbestos removal is a process used to remove harmful asbestos. So what is asbestos? Asbestos is a group of minerals that was, and still is, used in certain products such as building materials. Although the minerals that combine to create asbestos are naturally occurring silicate minerals they can be separated into fibers that are too small to see. This is why asbestos is dangerous. 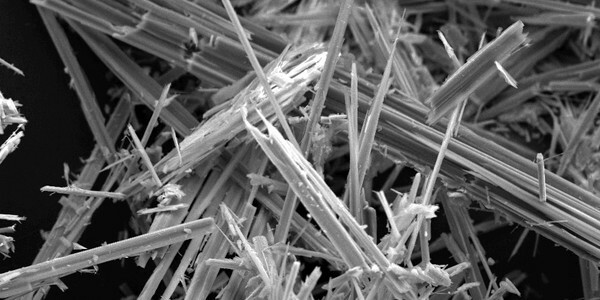 If these tiny asbestos fibers are disturbed they can float through the air, be inhaled and cause serious health issues. An example of where asbestos can be found is in what some call “popcorn” or “cottage cheese” ceilings. A simple ceiling fan installation can disturb the asbestos contained within the ceiling and cause health problems. Why is asbestos removal important? The health risks of inhaled asbestos fibers can range anywhere from minor respiratory irritation to cancer and even death. Prior to 1978 asbestos was heavily used in building and housing materials but once health risks were discovered its usage was banned. Unfortunately companies were allowed to continue to use asbestos containing products until remaining stocks were used up around 1986. If you live in a home or work in a building that was built prior to 1986 then it is likely you are surrounded by asbestos. Because of the dangers asbestos fibers pose when disturbed, asbestos removal has to be done very precisely. Professionally trained and certified companies like Barr & Clark should be consulted before anyone should attempt to remodel an old home, scrape a ceiling, replace insulation or remove any type of material that may contain asbestos. The process of asbestos removal is very complex but its steps are simple to explain. Professionally trained staff will do air testing, then a safe, isolated and regulated work area is prepared. A highly trained team then removes the asbestos containing materials and ensures proper disposal. The site is thoroughly cleaned and several post-inspections are performed to make sure there is no more asbestos present. Asbestos removal is a very dangerous and delicate process and should only be performed by certified experienced professionals. Please consult with Barr & Clark for all your asbestos consulting needs.